Our radically improved Ultimax ECO friendly brake pad. If you thought our Ultimax brake pad was good, this one is even BETTER! New 100 % ECO friendly material with ZERO sulphides. Ultimax2 brake pad will supersede on a stock rotation basis its predecessor material and customers will only be supplied Ultimax2 as stocks of the 2012 sell through or they place a specific order for a production run of 100 sets per reference for a dedicated production batch. 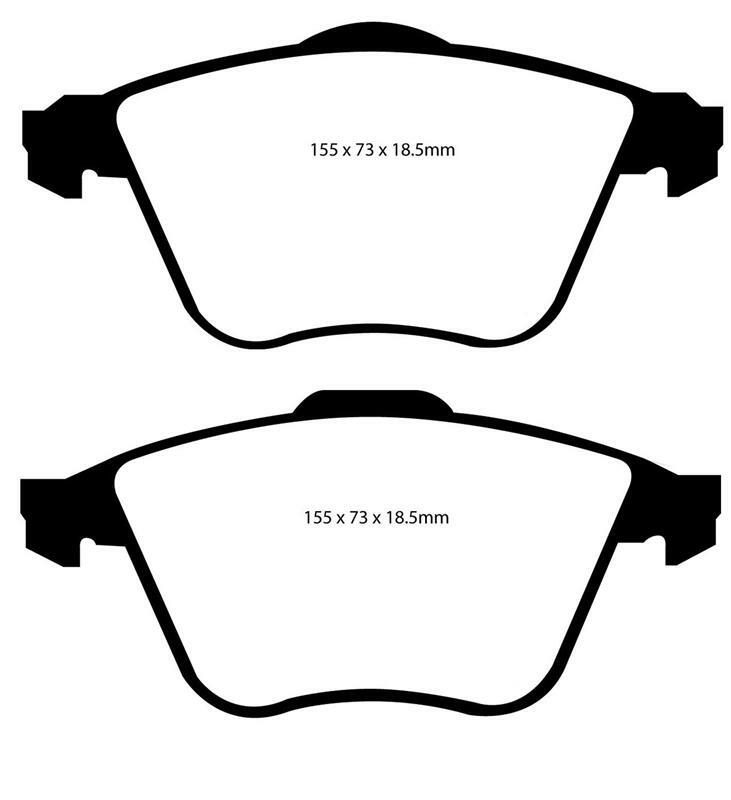 If you simply need a quality OEM replacement pad, look no further than the Ultimax2 brake pad. 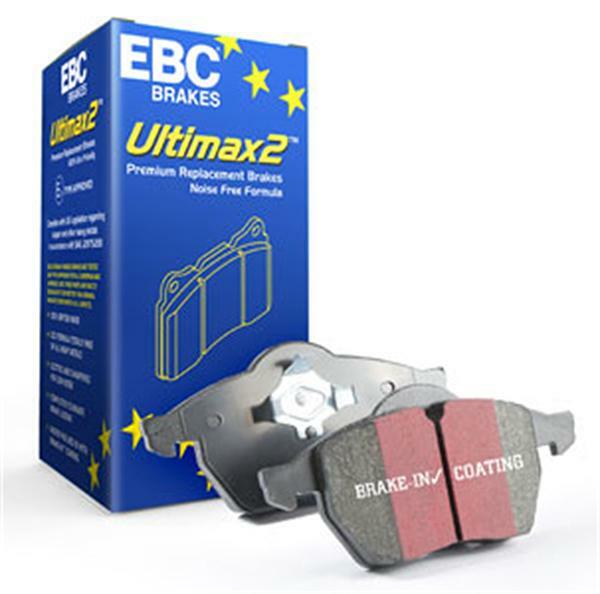 Made in the UK Bristol EBC Brakes manufacturing plant the Ultimax2 brake pad is a beautifully engineered brake compound that lasts well, produces minimal dust and is the perfect choice for the urban or daily driver. Why spend more if all you need is a quality replacement pad. The Ultimax2 brake pad is a total NON METALLIC pad containing ZERO steel fibre making this a cleaner pad far less aggressive to cast iron brake rotors. Ultimax2 has also been graded Code “N” by the USA brake ratings system meaning this receives the TOP award for its environmentally friendly status and has also achieved the much coveted GG friction rating, almost unheard of in the automotive brake Industry. This equates to a clean pad, that lasts longer, extends disc life and emits ZERO toxicity and is a true PAD FOR THE FUTURE. 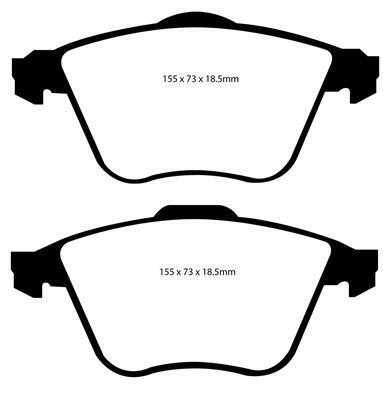 The brake effect with the GG ratting is truly amazing and delivers powerful braking at first brake application. Ultimax2 has also been widely tested in cold and damp conditions in Northern Europe and Scandinavia and in the Caribbean hot and humid temperatures where brake noise was ZERO.